AJ Tracey has always said he could spray over everything. As such, the sheer breadth of his self-titled debut album shouldn't come as a surprise - from raw grime beats to Stateside-leaning trap, it's a bold showcase for the West London talent. Album highlight 'Necklace' kind of has a slight country twist, so AJ decided something special was in order for the video. 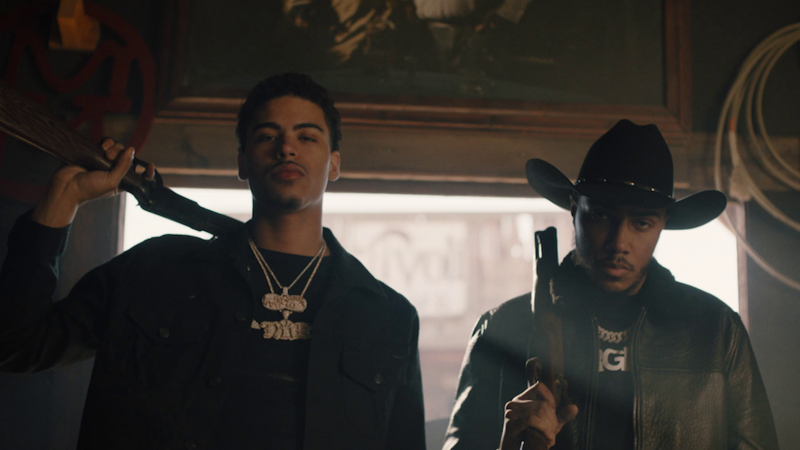 Pairing up with Jay Critch, the two enter a Wild West town intent on serving up a cold hard dose of law and order. It's a neat twist on Western mythology, one packed with plenty of rootin' tootin' action.